This is a series of books focused on helping people get onto the Vegetarian or Vegan path. These are books that I have written and are continuing to write. They are available both in Kindle and in Paperback versions on Amazon. The 3rd book in "The Good Life" series looks at nutrition. This book will flip the lid on a few nutritional facts. As one reader says "...She's a natural teacher, writer and, I might add researcher. She is truly concerned for our health, the proper treatment of animals and a clean environment. Although she expresses her own opinion, she does so without negating the feelings of others. I have actually learned more from her..." - Bobbi Rae. This is the last book in the "Good Life" series and possibly one of the most important when it comes to your health and the health of animals and the planet. 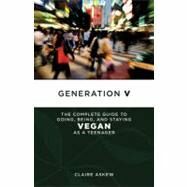 Switching to being vegan doesn't have to be at all difficult and this book helps to get you through the main stumbling blocks. "I will NEVER get tired of reading Fee O'Shea's books! And I am loving 'The Good Life' series!..." - Flip'n'Chip. 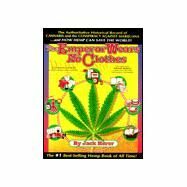 Jack Herer has updated his authoritative history of hemp's myriad uses and of the war on this plant, just as it has become high-profile news, with supporters such as Woody Harrelson and Willie Nelson.